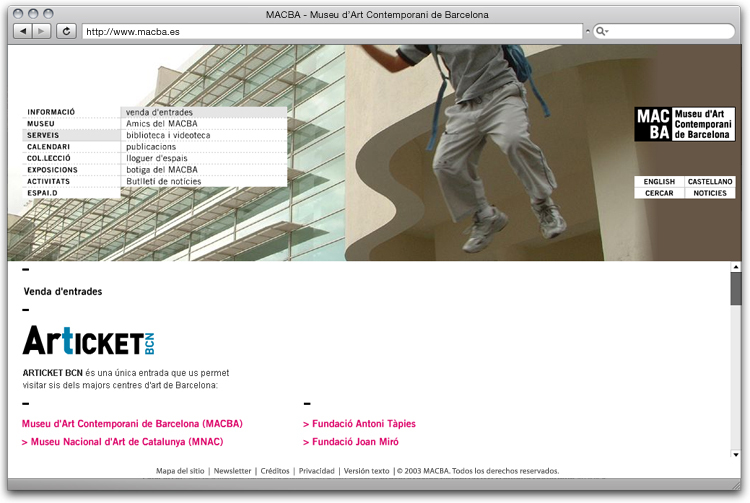 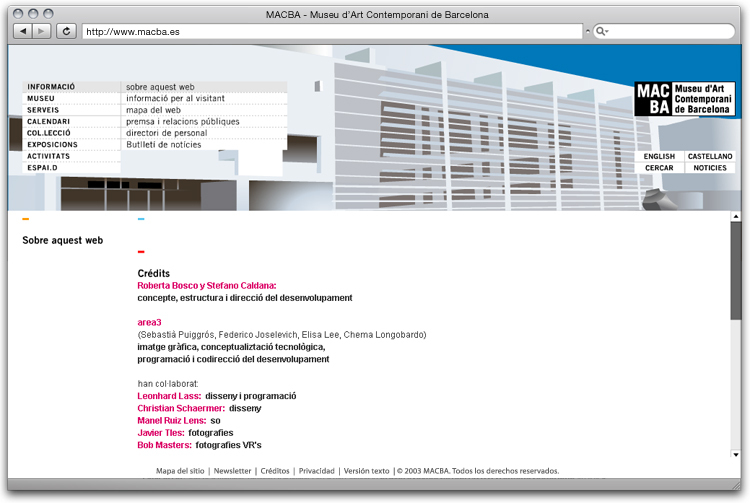 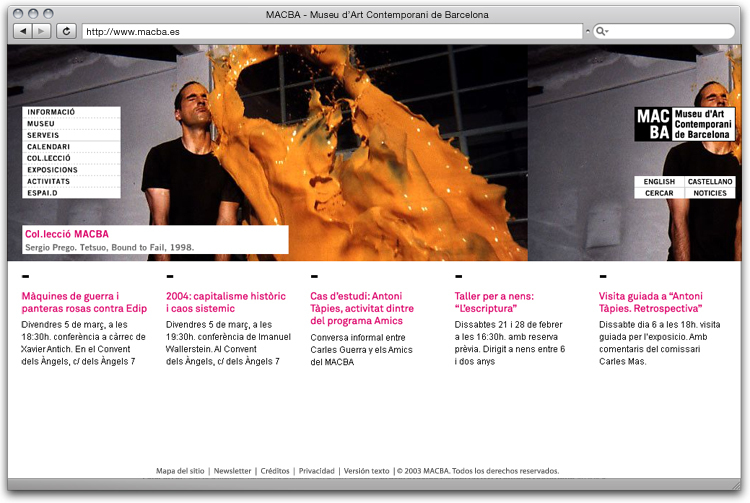 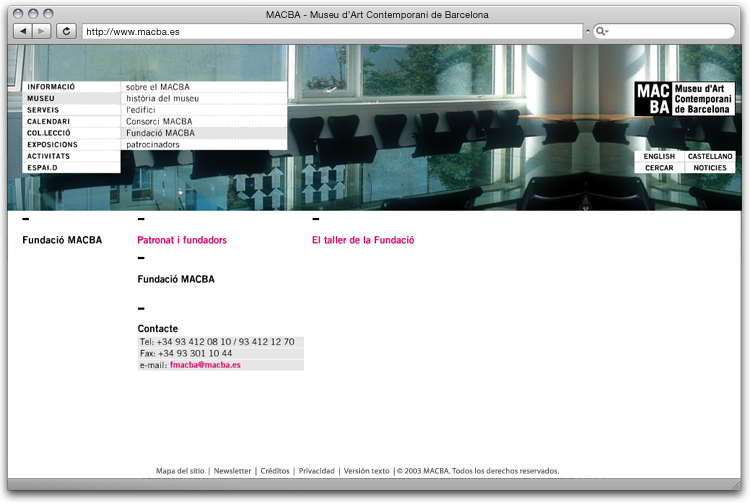 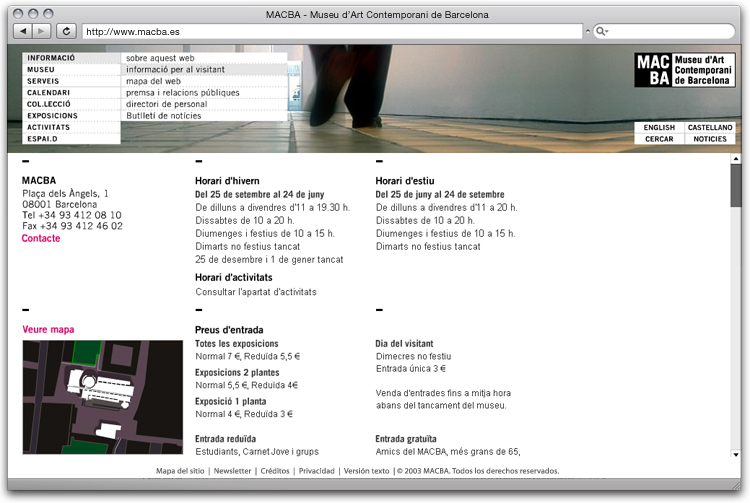 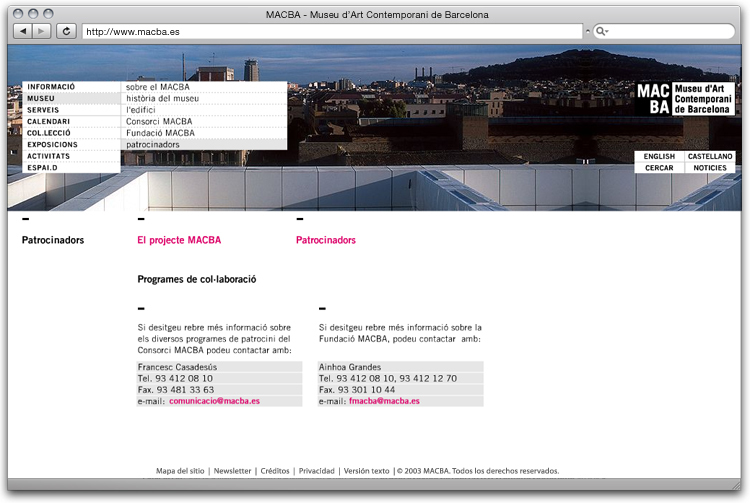 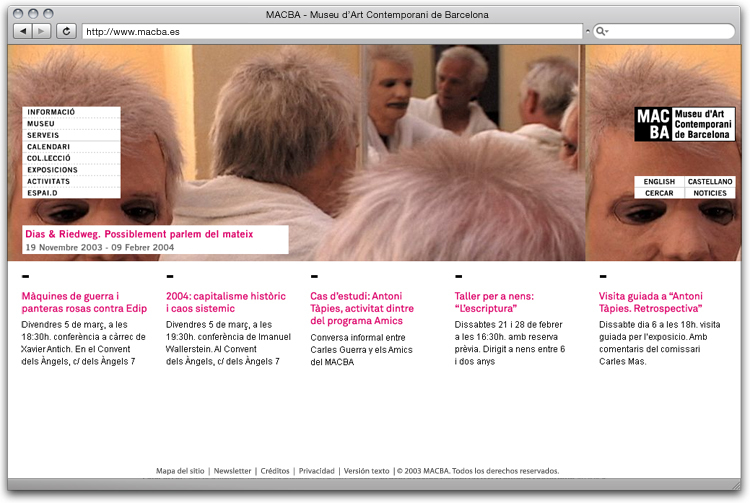 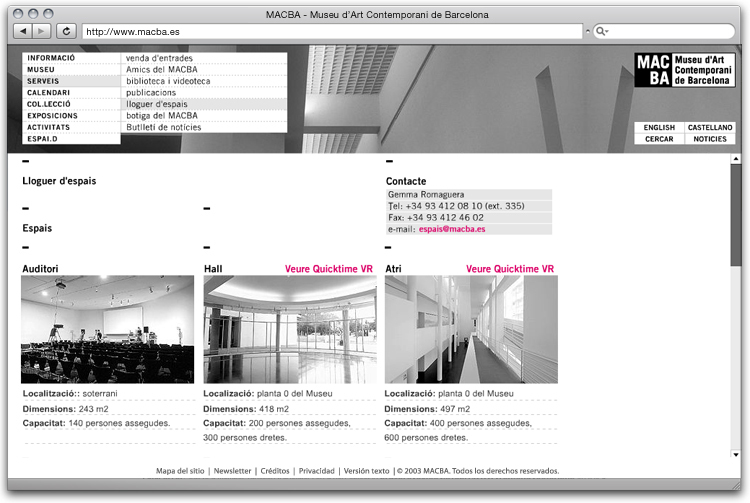 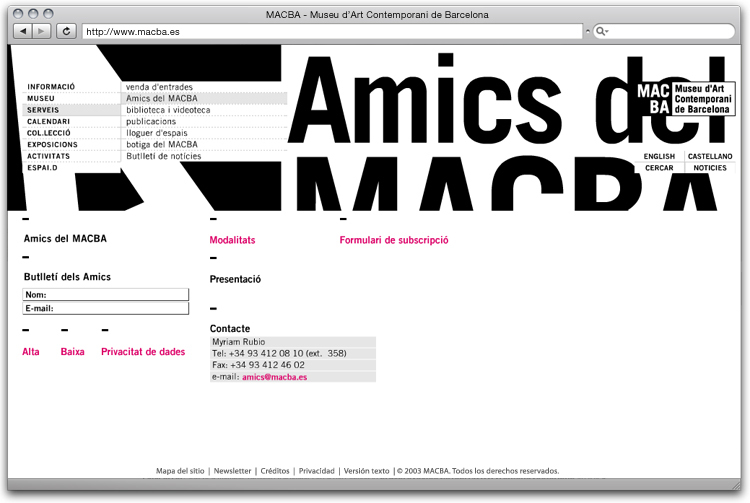 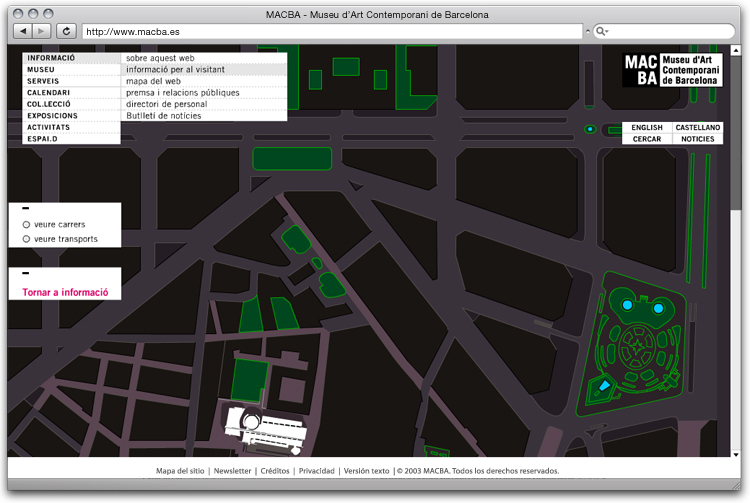 MACBA, Museu d’Art Contemporani de Barcelona’s website. 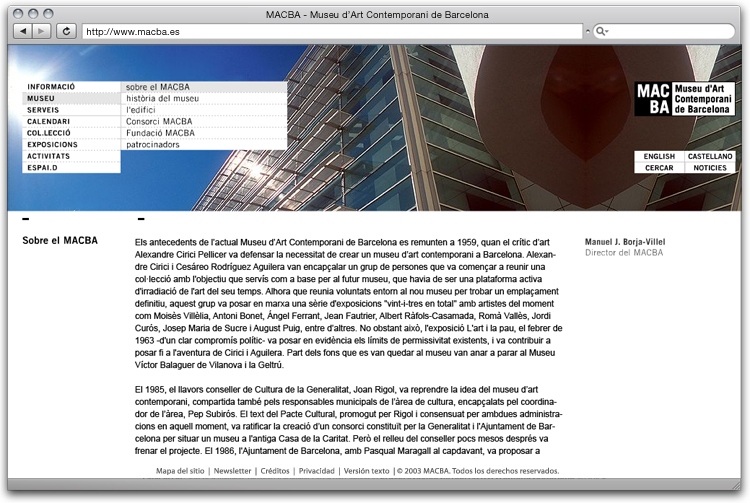 This project was a hard long work. 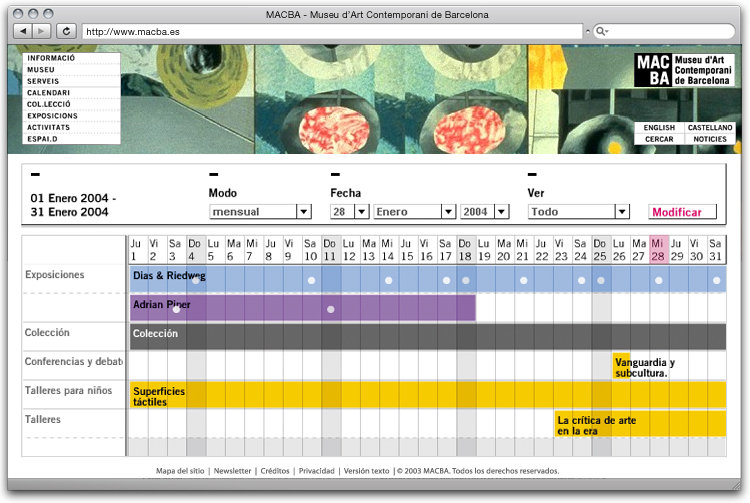 A team of 8 people working 12 month non-stop. 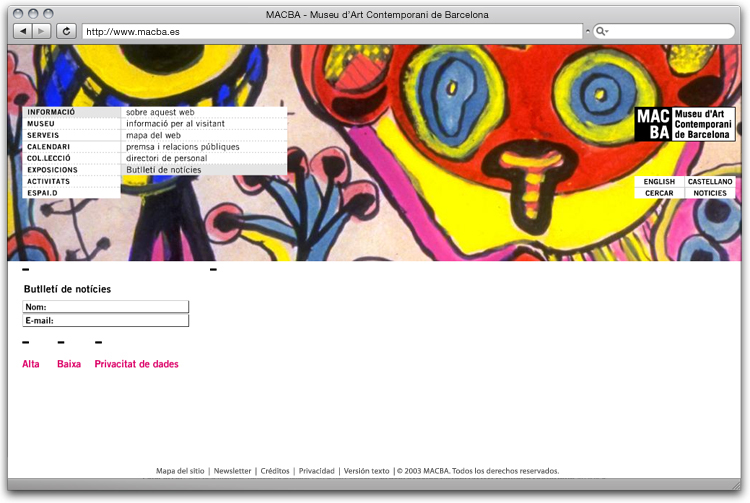 The front-end, the visible website, was thought like a comissioned artwork. 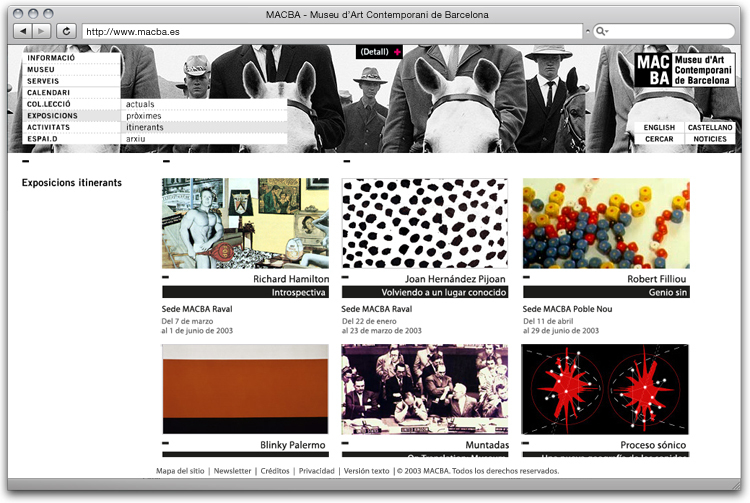 Big images, auto-modulating space, adaptation to different screen sizes and elements reposition were not common web concepts in 2003. 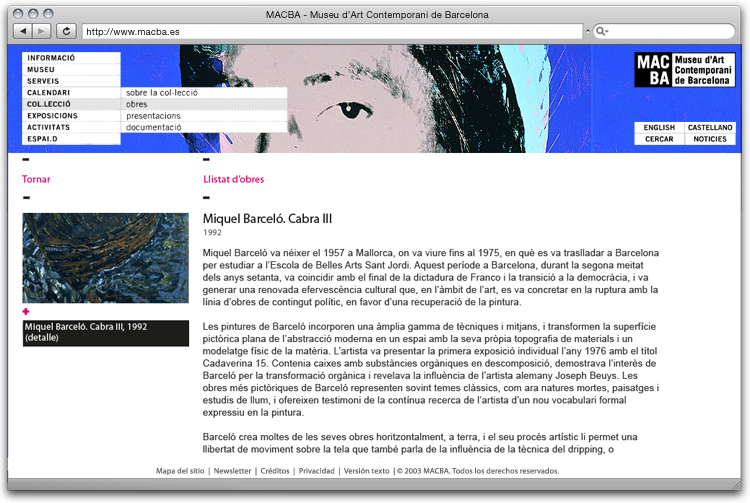 After an exhaustive analysis, we created from zero all museum’s online database, connected directly to the intranet to extract the needed data, avoiding the duplicated or unsynchronized information.